The other day I was looking for some inspiration for a new journal I want to try in my traveler's notebook (for real this time, not disc bound like my listing journal) and I found myself on the Blitsy website browsing some Webster's Pages items. Before I new it I'd found some brand new things that caught my eye and knew they were perfect for a few projects I have in the works. Secondly, you gotta have something to go into the traveler's notebook, right? They have a bunch of new, cute designs for their notebook inserts (this set & this set). There are two to a pack - one lined and one grid, both with pink lines. I love the matte, rubberized texture of the outside of the journals. The cover is thick and sturdy and the paper is also thick. I have already worked with mine and the pages hold up to stamping and using a glue stick. They are pretty nice quality notebooks! Finally, Webster's Pages has come out with a variety of photo pocket inserts for planners! You can find both an A5 planner and personal size in a variety of designs. 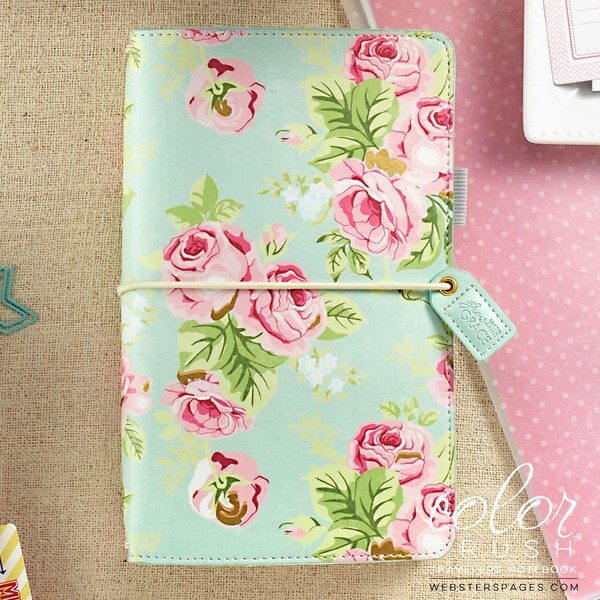 This is perfect for memory keeping or everyday inspiration in you planners. I picked up the A5 size to use in my vision planner and can't wait to use them. They fit standard pocket card sizes - 3x4 & 2x2 - and slip right into your planner binder. This will work with any A5 or personal size six ring binder, not just the Webster's Pages ones. If you've been a follower for a while you may remember my first review of the Color Crush brand of planners. Let me tell you that this brand has changed so much, and for the better, since that review. This is a brand of planner that I will continue to purchase. I think they are on trend and innovative. In fact, watch this video from Scrapbook.com to see some more amazing things to be released from this brand! There should be new planner colors coming out too this year. I can't wait! 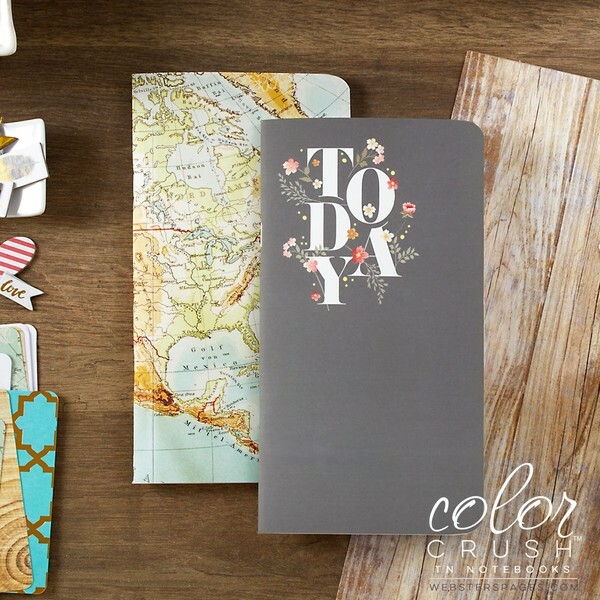 Another thing I can't wait for is CHA where a ton of new scrapbook and planner stuff should be announced! We've got MAMBI, Heidi Swapp, Webster's Pages.....I know I've probably missed a few brands. OH! Have you seen the new planner aisle at your Micheal's stores? The planner stuff isn't just thrown on and end cap or center aisle display...it has its own aisle! How awesome is that? 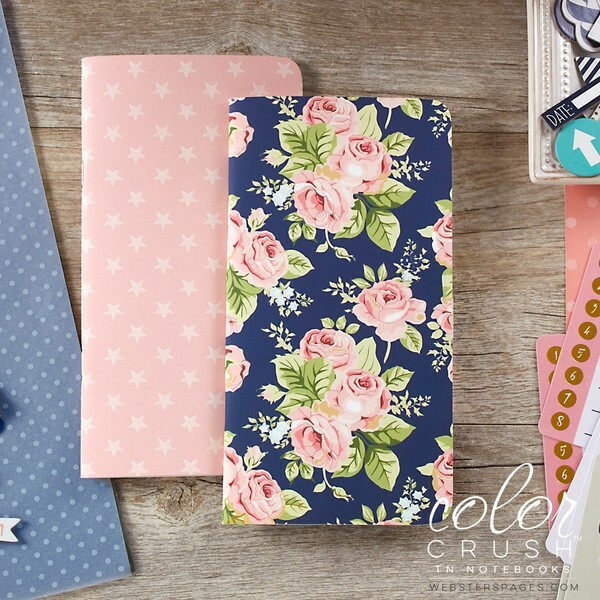 What new planner accessories have you found? What are you most excited about this year?